NISSAN ALMERA N16 HANDBRAKE LEVER, BLACK WITH CHROME BUTTON, REMOVED FROM A 2003 REG VEHICLE, IN GOOD WORKING ORDER. Qashqai Acenta (MK1 Pre-Facelift (J10)) (ABS). Handbrake Lever. 1598cc 113/84 16v. About MGV Auto Spares Ltd. Our Opening Hours are:-. Engine Size. CASH ON COLLECTION. Vehicle Photographs & Guide. Our used parts are tested by us and any oversight is accidental. FROM A NISSAN NOTE (2008 - 2013) MK 1 FACELIFT 1.4 16v 88BHP Acenta. OTHER CONSIDERATIONS. We try to note anything you would want to know about its condition outside of what you'd expect for its age. Subject of sale: Handbrake Lever/Button/Assembly. MODEL:X TRAIL TRANSMISSION:6 Speed Automatic. INTERIOR COLOUR:Black. ENGINE NUMBER:C254521. ENGINE SIZE:1598. FOR YEARS: 2013 (2013). Barrington Auto Salvage have over 25 years experience. We provide a large range of quality used car parts for all major manufacturers. Barrington Auto salvage. Cash on collection. 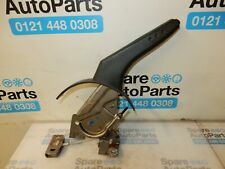 NISSAN JUKE Handbrake Lever/Button/Assembly 0000347649. Other Details: Mk1 (F15 Facelift) 14-17 F15 Handbrake Lever 360101KK0A. AB30-38, AB44-56, FK17-99, G83, IV1-28, IV30-39, IV52-54, IV63, KW1-14, PA21-33, PA34-40, PH18-26, PH30, PH31-41, PH49-50. Nissan Pixo 3 cylinder petrol engine FROM March 2009 onwards. Hand brake lever to fit the following vehicle ranges. Part No.36010-4A00C. New but the bag is torn. Genuine Nissan part. Qashqai N-Tec DCI (MK1 Facelift (J10)) (ABS). Handbrake Lever. 1461cc 105/78 8v. About MGV Auto Spares Ltd. Our Opening Hours are:-. Engine Size. CASH ON COLLECTION. Vehicle Photographs & Guide. NOTE TEKNA AUTO MK1 [E11]. Handbrake Lever/Button/Assembly. This part was removed from a Right Hand Drive Vehicle. Compatibility is a guide only. Your item will need to be signed for. Other Details. Qashqai Acenta DCI (MK1 Facelift (J10)) (ABS). Handbrake Lever. 1461cc 110/81 8v. About MGV Auto Spares Ltd. Our Opening Hours are:-. Engine Size. CASH ON COLLECTION. Vehicle Photographs & Guide. Qashqai N-TEC DCI (MK1 (J10)) (ABS). Handbrake Lever. 1994cc 148/110 16v. About MGV Auto Spares Ltd. Our Opening Hours are:-. Engine Size. CASH ON COLLECTION. Vehicle Photographs & Guide. NISSAN NOTE E11 GENUINE HANDBRAKE HANDLE. REMOVED FROM 58 PLATE NOTE E11. GOOD CONDITION. NISSAN QASHQAI J10. Handbrake Handle. Getting in touch. Compatibility list only a guide. We would be happy to send you more pics to help you decide if this item is right for you. Qashqai Acenta DCI (Mk1 FL (J10)) (ABS). Handbrake Lever. 1461cc 110/81 8v. About MGV Auto Spares Ltd. Our Opening Hours are:-. Engine Size. CASH ON COLLECTION. Vehicle Photographs & Guide. Qashqai Tekna DCI (MK1 (J10)) (ABS). Handbrake Lever. 1461cc 105/78 8v. About MGV Auto Spares Ltd. Our Opening Hours are:-. Engine Size. CASH ON COLLECTION. Vehicle Photographs & Guide. Nissan 200sx S14a S14 Handbrake Uprated Drift Button. Has a much better lock. Nissan Micra K12 - Handbrake Lever. 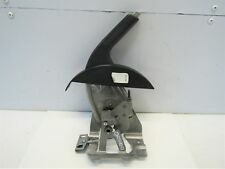 This part was removed from a1.4 Petrol Manual 5 Door Hatchback 2003 model. New arrivals. You won't find cheaper prices anywhere! High quality products at amazing prices. Subject of sale: Handbrake Lever/Button/Assembly. Item will be sold as it is shown in the pictures (you will receive exactly what you can see in the pictures). INTERIOR COLOUR:Unknown. ENGINE NUMBER:045620A. Subject of sale: Handbrake Lever/Button/Assembly. Item will be sold as it is shown in the pictures (you will receive exactly what you can see in the pictures). INTERIOR COLOUR:Grey. ENGINE NUMBER ENGINE SIZE:2500. Subject of sale: Handbrake Lever/Button/Assembly. MODEL:X TRAIL TRANSMISSION:6 Speed. INTERIOR COLOUR:Black. ENGINE NUMBER:019267. ENGINE SIZE:1995. NISSAN MICRA MK5 K14 2017- HANDBRAKE HANDLE LEVER. Subject of sale: Handbrake Lever/Button/Assembly. INTERIOR COLOUR:Unknown. ENGINE NUMBER:142205. ENGINE SIZE:2953. K12 3 Door 1.4 Petrol 5 Speed. Handbrake Lever. This part was removed from a Right Hand Drive Vehicle. Compatibility is a guide only. Your item will need to be signed for. In good working order. Other Details. Removed from a 2003 NISSAN NAVARA OUTLAW 2488cc. FOR YEARS: 2000, 2001, 2002, 2003, 2004, 2005, 2006, 2007 (2003). Warranties cover Parts Only and only apply if parts are fitted by a recognised independent specialist or approved dealer. Part:Handbrake Lever/Button/Assembly. Item Specifics:2000-2007 - 5 DOOR - HATCHBACK - HANDBRAKE LEVER. This Handbrake Lever/Button/Assembly was removed from a2005 car and has been fully inspected. This item will be suitable for00 01 02 03 04 05 06 07 models. NISSAN QASHQAI Handbrake Lever/Button/Assembly 0000345671. Other Details: Mk1 (J10) 06-14 MK1 J10 Handbrake Lever. AB30-38, AB44-56, FK17-99, G83, IV1-28, IV30-39, IV52-54, IV63, KW1-14, PA21-33, PA34-40, PH18-26, PH30, PH31-41, PH49-50. REMOVED FROM A 2007 NISSAN QASHQAI 2.0 DCi 4X4. All parts are stamped/marked by LMT Car Parts for authenticity. Details : NISSAN QASHQAI N-TEC PLUS IS DCIS/S Handbrake Lever/Button/Assembly Mk1 (J10) FaceliftQASHQAI 2012. Model : QASHQAI. QASHQAI 2010 -2013 Mk1 (J10) Facelift. Part Type : Handbrake Lever/Button/Assembly. Item Specifics:2004-2013 - E11 - 5 DOOR - ESTATE - HANDDBRAKE LEVER. NOTE 2004 -2013 Mk 1 (E11). Part:Handbrake Lever/Button/Assembly. This Handbrake Lever/Button/Assembly was removed from a2006 car and has been fully inspected. Item Specifics:2001-2007 - MK1 - 5 DOOR - ESTATE - HANDBRAKE LEVER. Part:Handbrake Lever/Button/Assembly. This Handbrake Lever/Button/Assembly was removed from a2004 car and has been fully inspected. MICRA 1998 -2003 HANDBRAKE LEVER. Item Specifics:1998-2003 - 3 DOOR - HATCHBACK - HANDBRAKE LEVER/ ASSY. Part:Handbrake Lever/Button/Assembly. This Handbrake Lever/Button/Assembly was removed from a2002 car and has been fully inspected. Mk1 2.0 Petrol Sport 5 Speed. Handbrake Lever/Button/Assembly. This part was removed from a Right Hand Drive Vehicle. Compatibility is a guide only. Your item will need to be signed for. TRIM LEVEL. Details : NISSAN QASHQAI DCI TEKNA Handbrake Lever/Button/Assembly Mk2 (J11) Electric Handbrake SwitchQASHQAI 2017. Model : QASHQAI. QASHQAI 2014 -2019 Mk2 (J11) Electric Handbrake Switch. Year : 2017. OUR REF: 1038-021118134245714. THIS DOES NOT INCLUDE NI, ROI, HIGHLANDS OR OFFSHORE ISLANDS. NISSAN MICRA K14 2017- Handbrake Handle Lever. Item Specifics:2013-2017 - MK2 - 5 DOOR - MPV - HANDBRAKE LEVER. NOTE 2013 -2017 Mk2 (E12). Part:Handbrake Lever/Button/Assembly. This Handbrake Lever/Button/Assembly was removed from a2015 car and has been fully inspected.